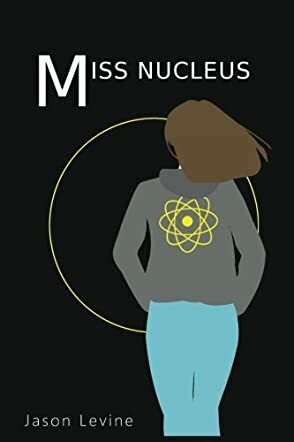 Miss Nucleus is an amazing journey following the adventures and misadventures of Liza Lindsay Lewis, aka Miss Nucleus, the offspring of dedicated scientists that spend more time in the lab than at home. This epic superhero novel begins with the invincible Liza waiting in line at a mom and pop coffee shop. A two-bit hoodlum is in the process of robbing the place, as Liza is trying to talk him out of it. Even though she is hung over and needing her caffeine fix, she is giving the would-be robber an accurate account of everything that will happen in hopes of diffusing the situation. When he finally shoots her in the face, everything she described in detail takes place just as she had predicted, including all of the papers she has to sign at the police station in accordance with superhero protocol. Even though she had quit being a superhero, events happen that bring her right back into the fold. She is a member of the Child Soldiers; a group of young adult superheroes that seem to get more action after all of the adult superheroes pack it in early so that they can get their 8 hours of sleep. Jason Levine does an outstanding job of bringing this story to life, with a realistic view of how the city of Burlington has put a lot of restrictions on the superheroes, due to the amount of damage that takes place whenever they battle supervillains. Jason's lead character is someone that everyone can identify and sympathize with. Liza sees a counsellor every week. She would love nothing more than to end her misery, but she cannot be killed, hence her constant vicious cycle of drunkenness and hangovers. This takes a drastic turn when she is approached by the top evil supervillain, "Freedom." He wants her to get something from her parents or else he will wipe out the city with a nuclear bomb. When she brings him what he wants, it starts a string of events that propels this story in all kinds of separate directions, making this book hard to put down. Miss Nucleus is one thrilling ride that leads up to a crescendo in the ultimate battle between good and evil. Jason Levine's Miss Nucleus has everything you could want in an action packed, superhero comic book on steroids. I loved this book from beginning to end. Bravo!